So much preparation (and blood and sweat and tears) goes into getting a job interview that sometimes it’s easy to forget the practicalities. In other words: there’s so much we can’t control when going to an interview; it’s hard to remember the few things we can control. 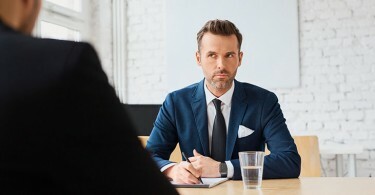 Here are six things to bring to an interview to ensure you succeed. Figure this out ahead of time. How long will it realistically take you to get to the interview location. Will it be rush hour? Will the bus you expect to take be running at that time on that day of the week? Map it out and run it through in your head. Then, just in case your phone battery dies or your 4G fails, make some sort of physical copy to carry with you, just in case. Yes, they already have it. But the likelihood of someone asking you for another copy is very high. Have a couple copies with you, ready to go—have five! You’ll never look stupid having a hard copy on hand when asked, though you might feel pretty silly if you’re asked for one and can’t deliver. Yes, it’s old-fashioned. But imagine a scenario in which you have to take note of something. If you pull out your phone to type it in, how will that look? (It will look like you’re texting. Even if you swear you aren’t.) It’s also very useful to have a notepad on hand to jot down some post-interview notes and names, and will make it easier for you to recall details when you send your follow-up thank yous. As in: you should have some. You’ll be asked the dreaded, “Do you have any questions for us?” So you might as well be ready for it. Write these down in the aforementioned notepad, or have a printed sheet with you to reference. Better yet, have them memorized. But do have them prepared. Even if you’re not an artist or designer, it’s always useful to have some sample work ready to go. A writing sample, perhaps. A copy of a particularly well-executed report or presentation. An annual report. You might never be asked for anything, but it’s always best to have something on hand in case you are. Going in with a positive attitude can make all the difference. You might be nervous, or having a terrible week, month, year—that doesn’t have to show. Go in there with confidence and charm and a smile on your face. Show your honest interest in the company and the position and your sincerity will be appreciated.